Growths and eczema affecting external and internal organs. Inflammatory and trophic rashes. Anomalous epithelial growths, formation of scales and warts. Skin swellings caused by various causes and scars, slow formation of pus, attenuation and diminution of pus. Affections of the serous skin, the muscles and the mucous membranes. 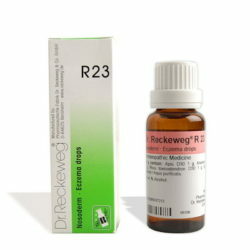 In affected area the surrounding skin is swollen with slow formation of pus, is reduced with the help of this medicine. Scrophularia nodosa: glandular swellings with abnormal excessive growth of affected nature. Appearance of malignant and benign lumps in the breast, growing slowly. 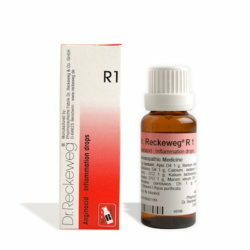 Stomach ulcers with a multiplying cell tendency is reduced with help of this medicine. Usually 10-15 drops of Dr. ReckewegR17 in some water three times daily before meals. 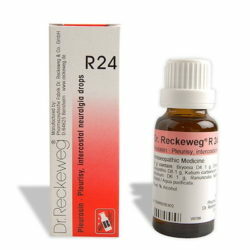 If malignancy is suspected administer 20 drops in some water four times daily. 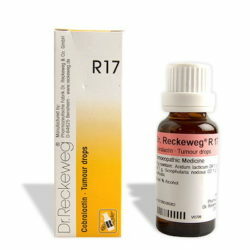 Reduce dosage of Dr. ReckewegR17 gradually only after improvement sets in and continue medication for several months.